PRICE REDUCED! 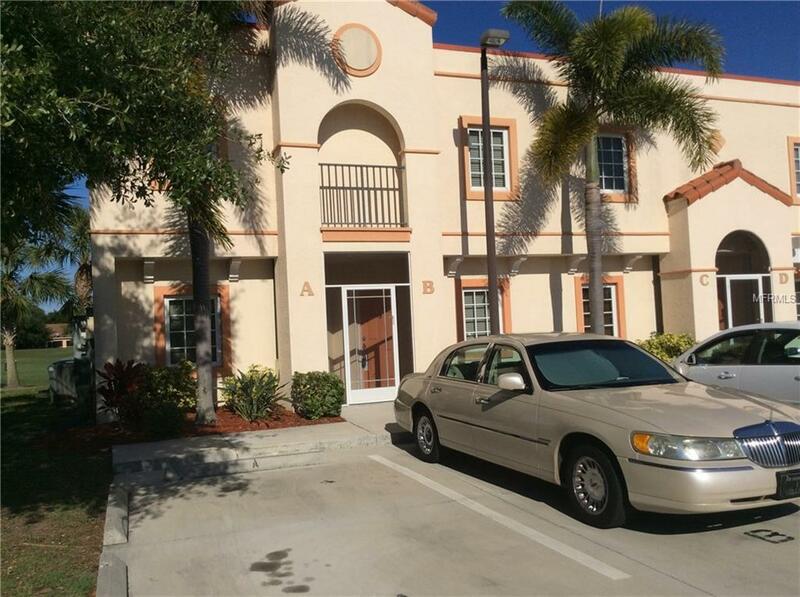 This well maintained, charmingly furnished, townhouse is turn-key ready for you to move in! 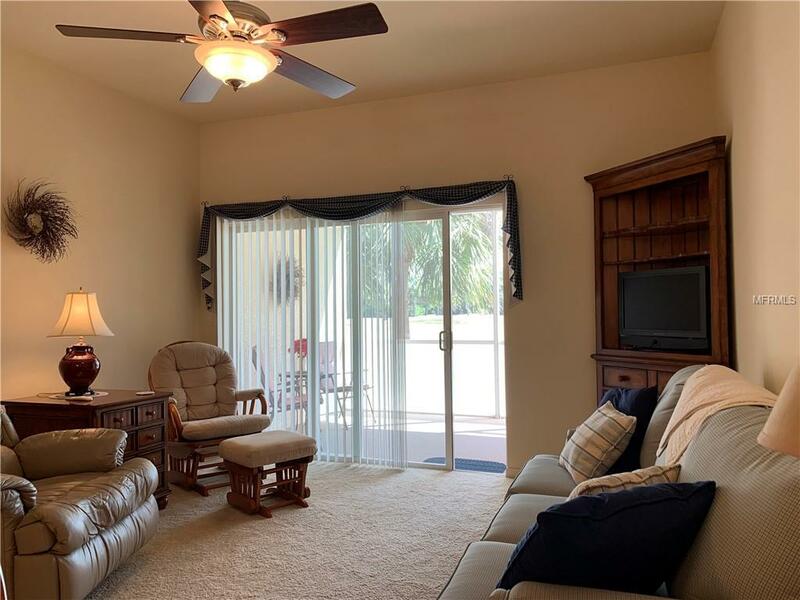 You can enjoy your view of Deep Creek golf course outside on your screened-in lanai on the ground level or from your private balcony off the master bedroom upstairs. The open floor plan downstairs includes a pantry in the kitchen, dining area, half bath for guests visiting, and even a storage area under the stairs. There is also a storage room off the lanai. The master bedroom upstairs has two walk in closets with sliders out to the balcony. 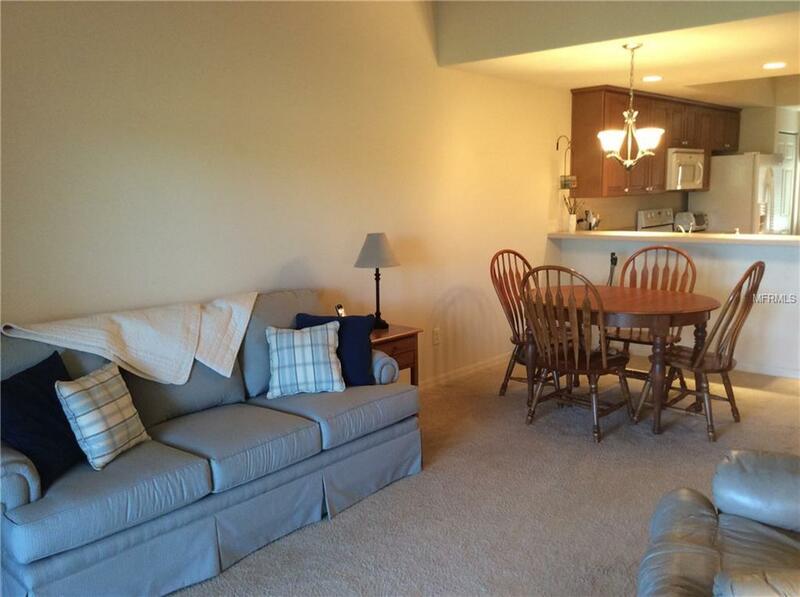 The split floor plan upstairs includes two full bathrooms and washer and dryer. The guest bathroom has a combination tub and shower. The front view of the home is of the beautiful community pool and facilities. 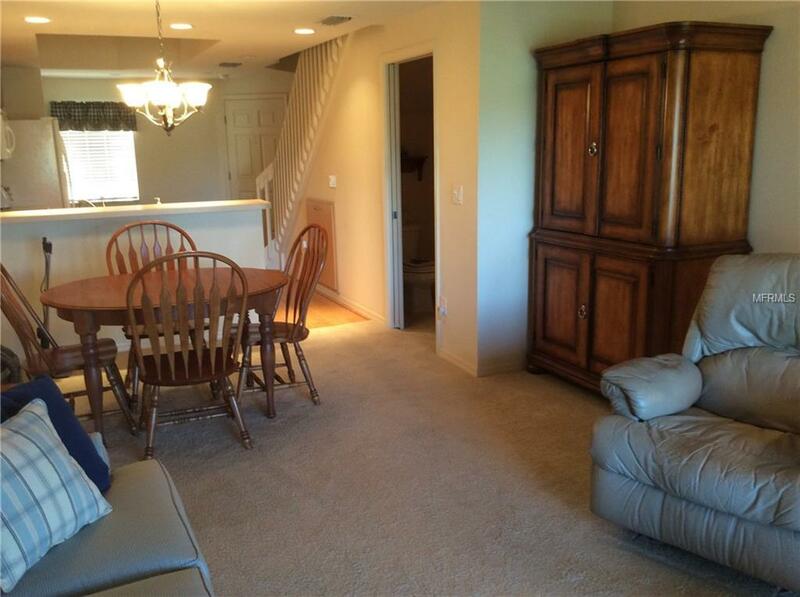 UPGRADES include screened in front entry and wood cabinets in kitchen and all three bathrooms. Structure was built with commercial building code specifications, including steel beams, all concrete block exterior construction, and IMPACT GLASS WINDOWS AND DOORS. Outside of building was just painted November 2018. Conveniently located near the interstate and main roads leading to golfing, boating, and beautiful historic downtown Punta Gorda. LOWER HOA FEES than most in the area. NOT IN A FLOOD PRONE AREA. One owner since constructed and only occupied during winter months. Why spend another winter dealing with snow and ice? Additional Lease Restrictions Tenants Leasing For 6 Months Or More Must Be Approved By Association And Require A Background Check. Tenants Are Not Allowed To Have Pets. Guests Of Tenants May Stay No Longer Than 15 Days. See Details Provided in The Rules & Regs Attached To Listing. Pet Restrictions 1 Dog Or Cat Or 1 Caged Bird. Tenants Not Allowed To Have Pets.